It was almost midnight by the time I was back on the road, heading south to Anaheim. There was no way that I would arrive at my hotel before 3:00 A.M. But I kept driving. 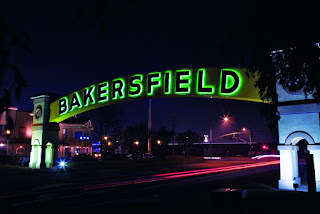 About 45 minutes later, I reached Bakersfield. This was where I was born. 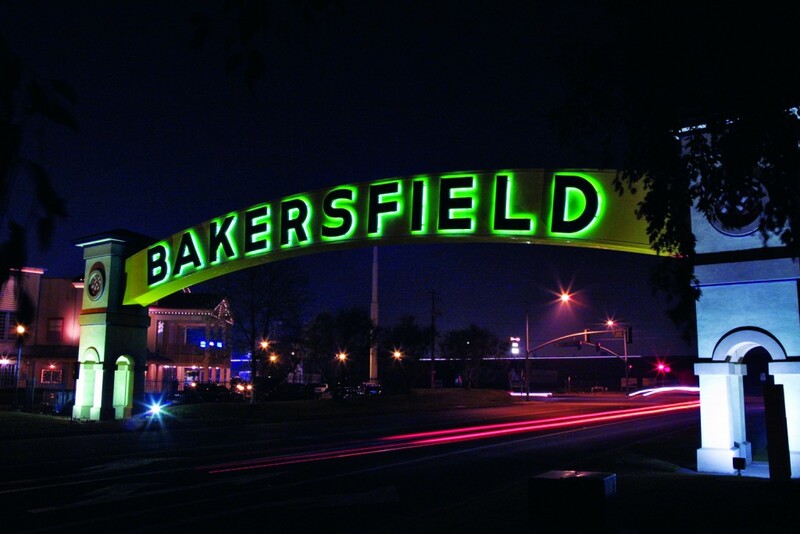 It’s also the birthplace of the Bakersfield Sound, a sub-genre of country music that grew out of the fertile honky-tonk bars in the late 1950s. The distinctive sound was created as a reaction against the slickly produced, string orchestra-laden Nashville sound, which was becoming popular at about that same time. Buck Owens and Merle Haggard opened the door and led the way for hundreds of other country acts and ended up influencing a couple generations worth of highly-paid hillbillies. As I drove through town, I wondered to myself if any of this is important. I guess it is, in some historic way. But it doesn’t have a personal impact on me at all. Maybe it’s because my family moved from Bakersfield on my first birthday and because I don’t care for country music at all. I pushed play on my iPod and blasted The Cult’s entire Electric album, followed by Soundgarden’s Badmotorfinger. stressed from the drive. And, I really needed a drink. Anaheim is a strange place. Many people think of it as a part of Los Angeles - another city that makes up the greater L.A. Basin, like Hollywood, or Burbank, or Glendale, or Long Beach. But it’s not. It has a personality that is all its own. Sure, it’s got the terrific weather, the terrible traffic, and the palm trees. But the personality seems much more Midwestern. Everything is a little bit slower there and they tend to roll up the sidewalks at sundown. So, unlike many of the great drinking cities that I’ve visited, there wasn’t much of a chance that I was going to find a dive bar that I could sweet talk my way into for a few after-hour pops.